Hi y'all! 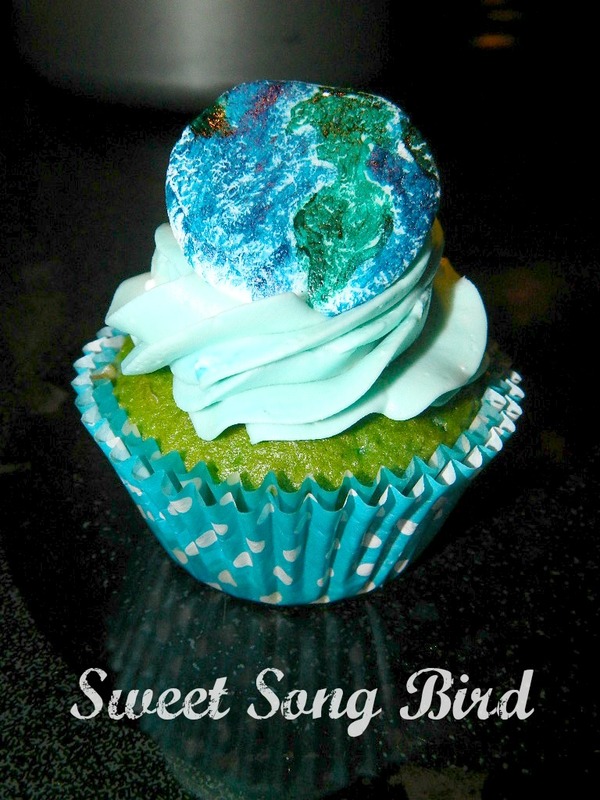 As most of you are aware, yesterday was Earth Day! 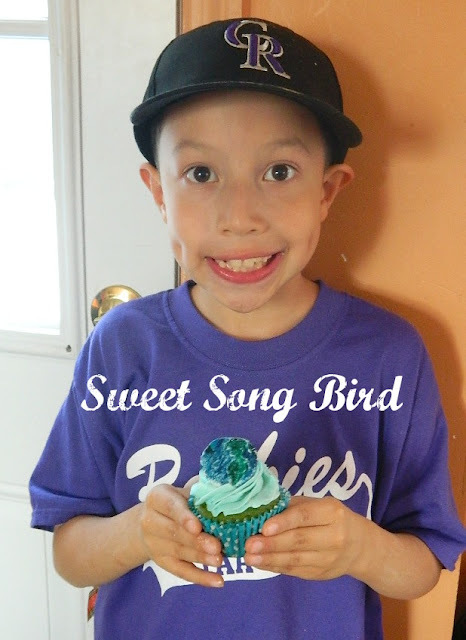 For us, it's an especially important day because it's my sweet Aspieboy's birthday! He wants to be an environmental engineer when he grows up, and loves celebrating Earth Day! 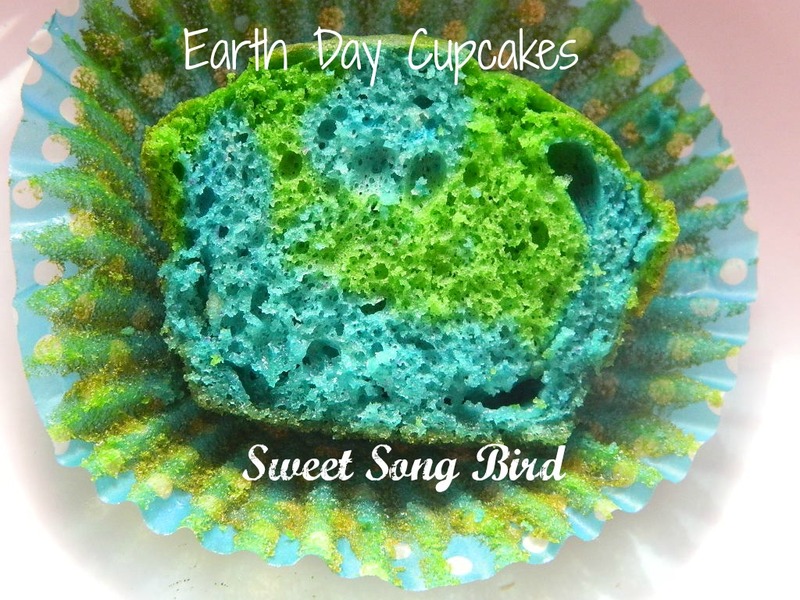 This year, he asked for Earth Day Cupcakes to celebrate his day! It was extremely easy to achieve! I separate d the batter into two bowls, and tinted the batter, one blue and one green. I then filled the cupcake liners with the blue first, only about a 1/4 of the way full. Next, I added a dollop of the green and using a toothpick, swirled both colors just slightly. Then add a dollop more of the blue to achieve the ocean effect. Bake them as directed, and allow to cool fully. 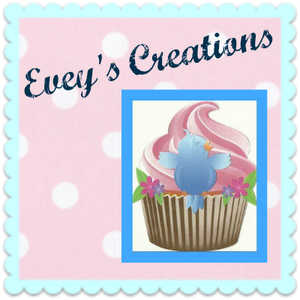 The fondant was cut into circles for the toppers and I hand painted each one with my awesome all natural food coloring. My sweet boy was extremely impressed and VERY happy with the results! I was, too! I hope you will give these a try next year.